ICS converter software is a simplified tool to export iCal file to CSV, PST, PDF, and vCard VCF formats. This tool convert ICS to Outlook PST and another file format without any data loss and it can transfer ICS file of any size without any file size restriction. Exporting multiple iCal files into Outlook PST in bulk can be done easily using ICS to PST converter tool. The users can import ICS to Outlook 2016 PST file format at once using ICS file converter. The resultant PST file created by this software can be opened in any version of MS Outlook. ICS to CSV converter software enables its user to convert ICS calendar to CSV format without losing a single bit of information. So, the users who want to save or change ICS to CSV file data in tabular structure can use ICS converter tool to export iCalendar to CSV. iCalendar converter tool provides an option to save ICS file data in PDF document with complete accuracy. ICS to PDF converter utility supports all the editions of Acrobat Adobe to access the exported ICal data files from ICS format to PDF. ICS file converter software has a very useful feature to convert ICS to VCF file format. The graphical interface of this tool is very simple and easy to use. So, any user can export iCal file to vCard .vcf within a few mouse clicks using this utility. Export iCalendar File Using ICS Converter Wizard? Step 1 : Download and Run the ICS file Converter software. Download ICS to CSV converter utility and install it in the system. And open the software. Choose the Add File option to import an iCalendar (.ics) file to Outlook PST, PDF, CSV, VCF formats by selecting the desired option accordingly. Select File: Choose single or multiple iCal files at a time. Select Folders: Choose the folder containing multiple ICS files. After adding ICS files on it, the application will begin the procedure of scanning at the same time and will display a status report of the procedure. Click on OK button once the scanning procedure to add ICS to outlook or the chosen formats is completed. Once the scanning procedure is over, the ICS File Converter utility will upload all iCalendar file data and offers various options to access iCal ICS data. It also gives an option to switch mode the screen according to users need. Now, select the Export option and choose the desired file format accordingly, i.e. PST, CSV, PDF, and vCard to start the conversion of ICS data file. Browse the location to save data after conversion and click on start option. Q. Is there any file size limitation with ICS converter software? Ans: There is no file size limitation to convert ICS into CSV with this utility, so a user can transfer ICS file of any size without any data loss into various other formats also like PST, PDF, and VCF. Q. Does ICS to PDF Converter tool support Mac operating system? Ans: No, ICS converter software does not support Mac OS. It is a Windows-based utility and it can be run on Windows-based platforms only to convert an ICS file to PDF and other various file formats. Q. Is the demo version of this application available? Ans: Yes, the free version of ICS file converter is present and it can download from the official website. However, its demo version has some limitation such that it can export only first 25 items of ICS file to another format. Q. Does iCal conversion product generate a preview of ICS file data after uploading the file? Ans: Yes, ICS to Outlook converter software generates an instant preview of iCal file after scanning and loading the file. Note: ICS File Converter Software will get delivered on your registered email id, within few minutes after placing the order. When I was looking for a third party tool to export ICS file to PDF document then my brother suggested me ICS converter software. I immediately download the free version of this utility. The demo version gives me complete assurance about the functionality of the product. Therefore, I purchased the full version of this ICS file converter and I am very satisfied with performance of iCalendar converter. Thanks for developing this useful product. ICS converter application is an outstanding third party utility because it provides an option to export ICS file to PST, CSV, PDF, and VCF. 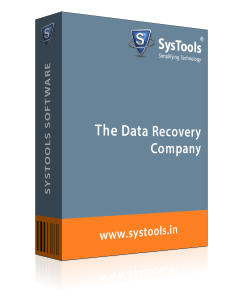 This software also retains the integrity of data during or after the conversion process. The interface of ICS data Converter is simple and user-friendly. Therefore, it can be used any user who does not have more technical knowledge to send ICS file to Outlook, vCard, PDF, and CSV formats. After using ICS file converter, I can say that this application is one of the best third-party tools to convert iCal to CSV format because after conversion its maintains the tabular structure same as the structure of the source file. This ICS exporter tool is also compatible with all the versions of Windows OS. I am thankful to the development team for the creation of such a simplified tool.